I don’t have a vegetarian gravy recipe for you. Or a helpful list of last-minute side dishes. Oh how I wish I was so prepared for my own Thanksgiving that I could share tips and tricks to help you tackle yours. But as we approach this week’s meaty holiday, I thought it might be a good time to look at the potential rise in popularity of meatless eating going on around us. I’ve been a vegetarian since 1997. That means I’ve chomped down my meat-free dinner while watching Dharma and Greg and Downton Abbey. Throughout the years, I’ve continued to eat the same way, while vegetarianism has been called hippie, foolish, dangerous, too much work, and wimpy; and then ecologically conscious, health-promoting, and hip. Heck, Ellen’s a vegan. Even Jay Z and Beyoncé tried it for a spell. As a dietitian, I’m not one to jump on the latest diet trend. I’ve stayed true to my choice, which is backed by a considerable amount of science, while low carb, paleo, blood type, and fat burning diets have come and gone from the headlines. But something feels different now. Meatless Monday is big. It’s even reached my little community college in Mt. Vernon, Washington. Mark Bittman, a respected columnist for the New York Times, published his book Vegan Before 6 after his health started showing signs of rebellion on the Standard American Diet. From what I can tell it’s been building for a while. 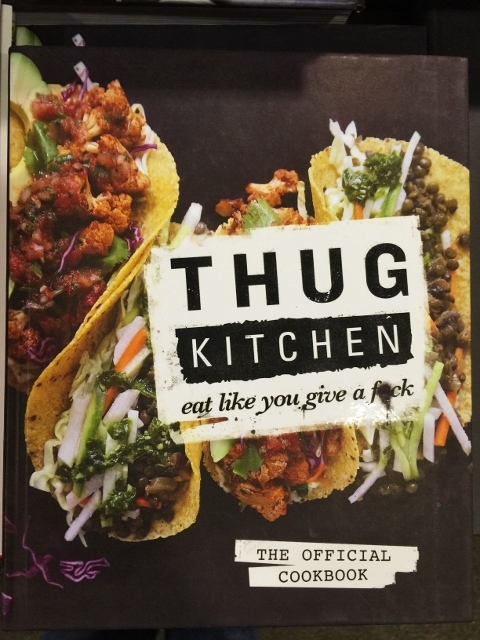 But I’ve had three experiences lately that make me think perhaps this way of eating is really going mainstream. I’ll tell you what I’ve seen in the food nerd trenches, and you can decide for yourself. As you know if you’ve been reading my posts for a bit, I attended the International Food Bloggers Conference (IFBC) in Seattle in September. I own the well-respected reference, The Flavor Bible, so I was excited to attend the keynote address by authors Karen Page and Andrew Dornenburg. Now keep in mind that this is a conference for any and all food bloggers writing about any and all kinds of diets. 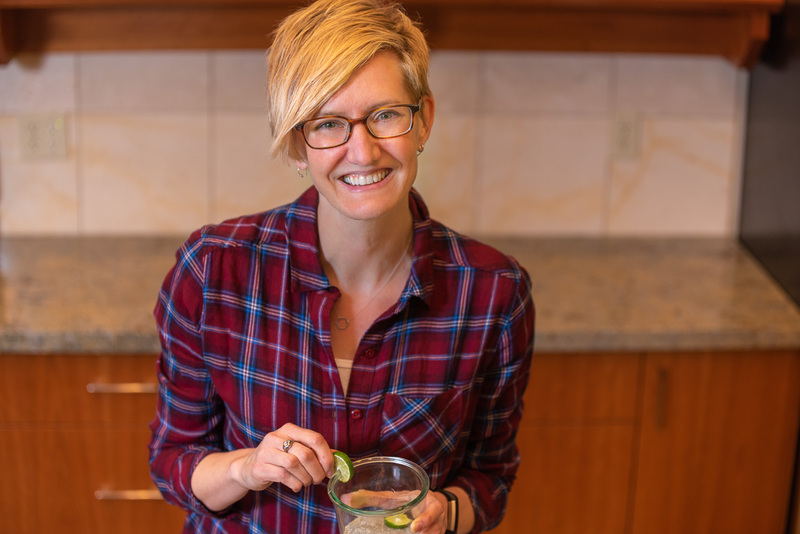 The gluten-free moms, the bear-fat-rendering homesteaders, and the green-smoothie-chugging health nuts are all represented, though it can sometimes feel like vegetarians are in the minority at these events. 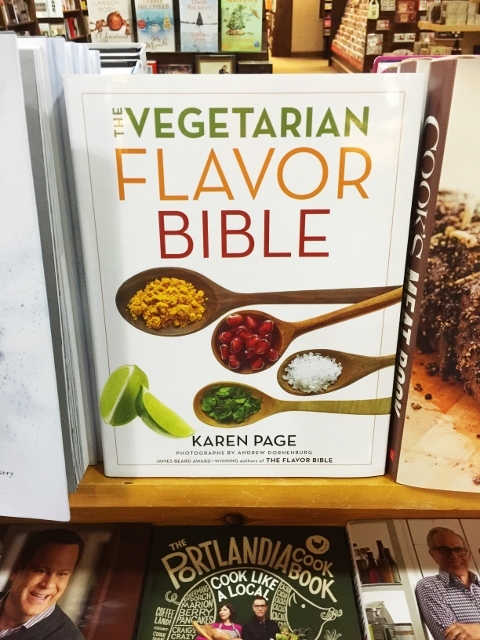 Imagine my surprise when I sat down with my decaf soy mocha at the session only to find out that Karen and Andrew’s new book is none other than The Vegetarian Flavor Bible. The authors shared their story, including the how and why they converted to vegetarianism as a couple; a professional food couple, no less. Their impetus? Losing four parents to cancer in very short window of time. They started looking at the connection between diet and health for their own sakes and discovered the power of plants. (I could hear the eye-rolling of the BBQ blogger next to me, who probably couldn’t wait to get to the afternoon session “Know Your Beef: Know Your Butchery”.) Karen and Andrew’s slides outlined the health benefits of a plant-based diet and quoted renowned experts in the field. It was glorious. I was at a food blogging conference with 400 other bloggers, and in the first session on the first day vegetarianism was front and center. As a professional in the food biz, he said he got a little pushback once he officially announced his new diet. (Here’s a link to his humorous “coming out” story.) First, people assumed he was the food critic for the paper and reasoned that he would have to be willing to eat anything and everything put in front of him at a restaurant. But he’s not the food critic; he’s the editor. Secondly, he made the point that the editor of the food section didn’t actually have to taste each bite of food – he had writers doing that for him. His analogy was that the travel editor doesn’t have to have been to Bali to edit a reporter’s story on Bali. 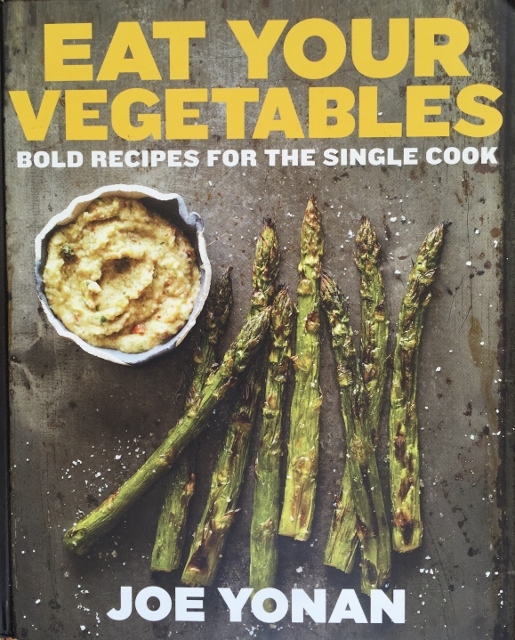 I’m happy to report he does have his own column as well, Weeknight Vegetarian, and his own cookbook, Eat Your Vegetables: Bold Recipes for the Single Cook. This last one had nothing to do with IFBC, but it was a similarly unexpected find: How Restaurant Pros are Handling the Surge of Food Allergies. This particular article caught my eye because I find the topic of food allergies so challenging as a dietitian, and I was interested to read something about someone succeeding with them. Turns out, again I was surprised to find vegetarianism mentioned. 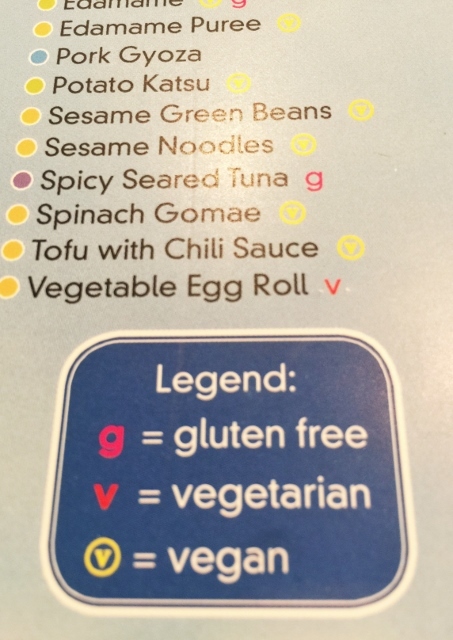 The focus of the article was how restaurants are accommodating special diets, whether that’s nut-free, gluten-free or vegan. I couldn’t agree more. Instead of chefs shunning and pooh-poohing the veg heads of the world, I think they should take on the challenge. Make green beans heavenly without bacon. Make pasta blissful without butter. Show us what you can do without meat and we’ll gladly fill your seats. Vegetables: Are they the new bacon? José Andrés and other chefs think so: Vegetables are taking center stage at new “vegetable-focused” restaurants around the country. 23 Eye-opening Charts of Major Food Trends: Yelp searches for “vegan” and “vegetarian” are up with Parisians. 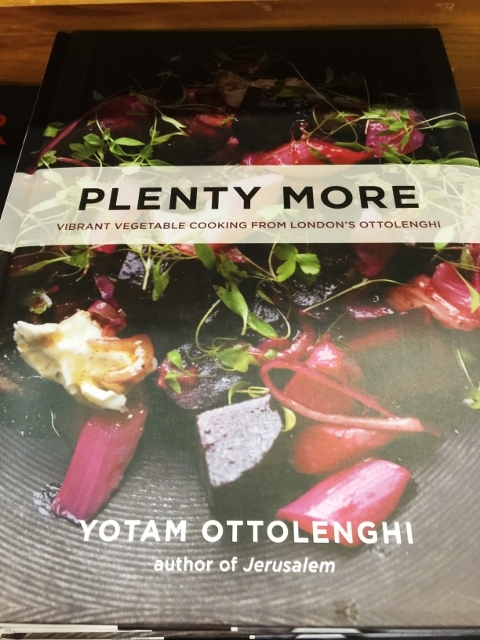 Good Food Podcast: Evan Kleiman interviews Yotam Ottolenghi about his new vegetarian cookbook Plenty More and the vegan authors of the New York Times Best Seller Thug Kitchen: The Official Cookbook. This is not scientific. I’m not sharing unbiased statistics; just one woman’s anecdotal account of vegetarianism showing up more and more in surprising places. Maybe I’m jumping the gun. Maybe the meatless diet isn’t quite mainstream yet. And maybe these examples simply signal yet another fleeting American dietary trend. But let’s look on the bright side. In the meantime, it might mean more menu options for us when we dine out and less ridicule when we bypass the pork chop at the potluck. Or, dare I say it…opt for a slice of the holiday lentil loaf instead of the last drumstick. What do you think? Is the vegetarian diet finally getting the respect it deserves? Disclaimer: I’m always on the lookout for someone shining a spotlight on meatless diets, and this year I was pleasantly surprised to see vegetarians representin’ at IFBC. And, while I would have shared my observations with you anyway, I did get a discounted registration fee for agreeing to blog about the conference. 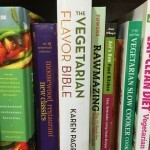 And the authors of The Vegetarian Flavor Bible gave all attendees a free e-copy of their book. What a great post. Thank you for tying this all up so succinctly. I, too, was excited to see the front-and-center nature of vegetarianism at the conference this year. And I’m with you, I would love more menu options! I’ve been eating the butternut squash ravioli for more than a decade. Here’s to more veggies! Hi Jenni. Thanks so much for taking the time to comment. By the way, we made your celery soup again this week – it’s on our list of favorite dinner recipes so it shows up quite often. Hope to see you at IFBC again next year!